According to news gathered, The NYSC corps members were travelling from Ibadan, the Oyo State capital, to Rivers and Akwa Ibom states where they were posted to undertake their three-week NYSC orientation. They were kidnapped on the Owerri-Port Harcourt Expressway and taken to the Umuapu forest in the Ohaji/Egbema Local Government Area of Imo State. 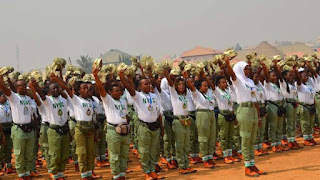 The victims were later rescued by the police, the Imo State Commissioner of Police, Dasuki Galadanchi, said the kidnappers established contact with the families of the corps members and demanded N5m ransom. The names of the corps members as Abiola Temitope, Olubisi Adekanmi, Jose Temitayo, Folarin Opeyemi and Shonibare Ademola, while the other two victims were identified as Leonard Uzondu and Raymond Ojodahe. 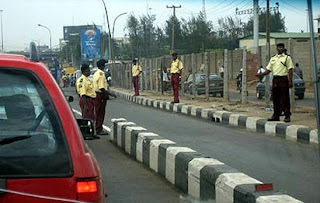 The CP said, “The victims were travelling from Ibadan to Port Harcourt. Five out of the seven of them are prospective corps members. “They were on their way to the NYSC orientation camps in Rivers and Akwa Ibom states for the three weeks camping. “They were kidnapped around 5am on Wednesday at Umuapu, on the Owerri-Port-Harcourt Expressway. “The kidnappers took them to a forest and dispossessed them of all their belongings, including money, phones, ATM cards and voter cards. The CP explained that through intelligence gathering, the operatives of the Counter Terrorism Unit of the command were alerted. He said, “The operatives went into the bush and on sighting the officers, the kidnappers abandoned their victims and fled. We rescued them unhurt, but the hoodlums made away with their valuables. Galadanchi said he had ordered investigation into the incident with a view to arresting the fleeing suspects.